The challenge is on the grounds that the findings are arbitrary and irrational and that the public protector’s remedial action is inappropriate. Finance Minister Tito Mboweni has challenged the public protector’s findings and remedial action regarding Treasury Director General Dondo Mogajane. In a report published last year, Public Protector Busisiwe Mkhwebane found that Mogajane had failed to declare a traffic offence conviction while he was being considered for the position of treasury director-general. She recommended that President Cyril Ramaphosa take appropriate action against Mogajane, which he subsequently did. 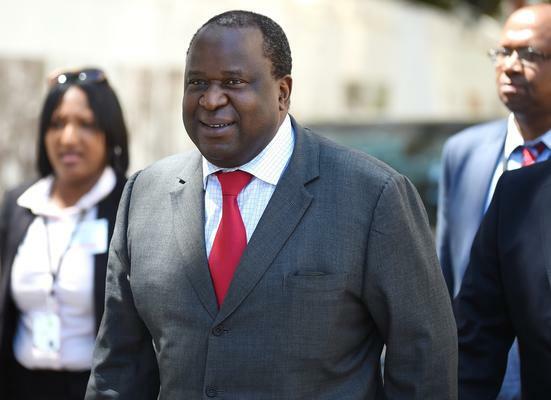 According to a statement issued by National Treasury earlier today, Mboweni filed the application at the North Gauteng High Court to set aside Mkhwebane’s remedial action against Mogajane. 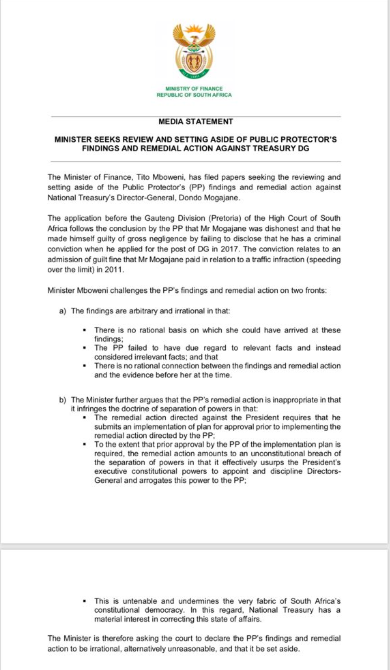 “Minister Mboweni challenges the PP’s findings and remedial action on two fronts: a) the findings are arbitrary and irrational… and b) the minister further urges that the PP’s remedial action is inappropriate in that it infringes the doctrine of the separation of powers…” reads part of the statement.